This document gives details on importing new data or updating data in SalesSeek via the import of an excel or csv spreadsheet file. It also instructs how to manage failed imports. 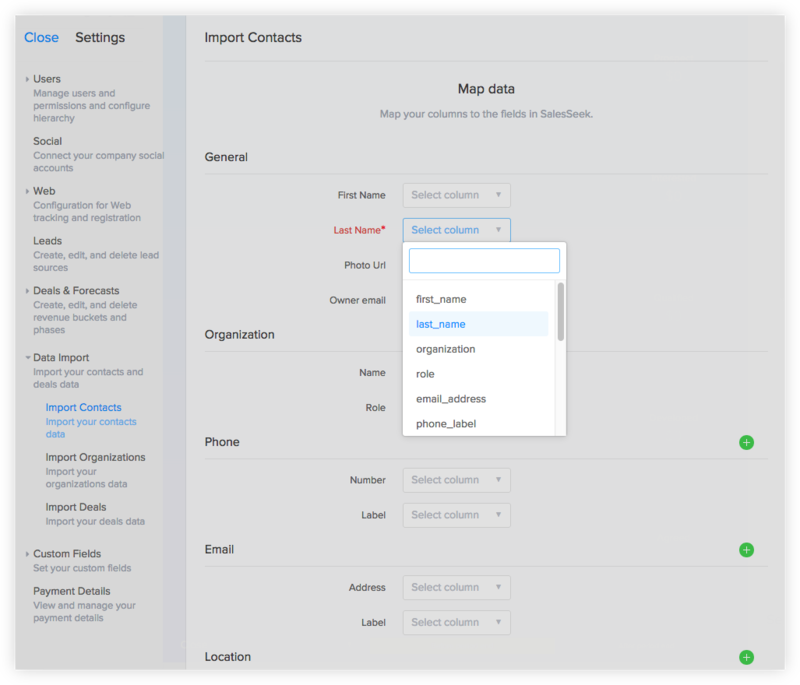 You can upload your existing data from other systems and spreadsheets in the SalesSeek settings panel. Check out the video below or continue reading this article. Note: The Owner Email Address should be the email address of a registered SalesSeek user that is to own the record. If not supplied this will default to the user importing the data. Note: Custom fields will need to be first created in SalesSeek before data can be imported into them. This is an example of a simple import list of contacts is in spreadsheet (.xlsx or .csv) format. Once the file has been uploaded click Continue. 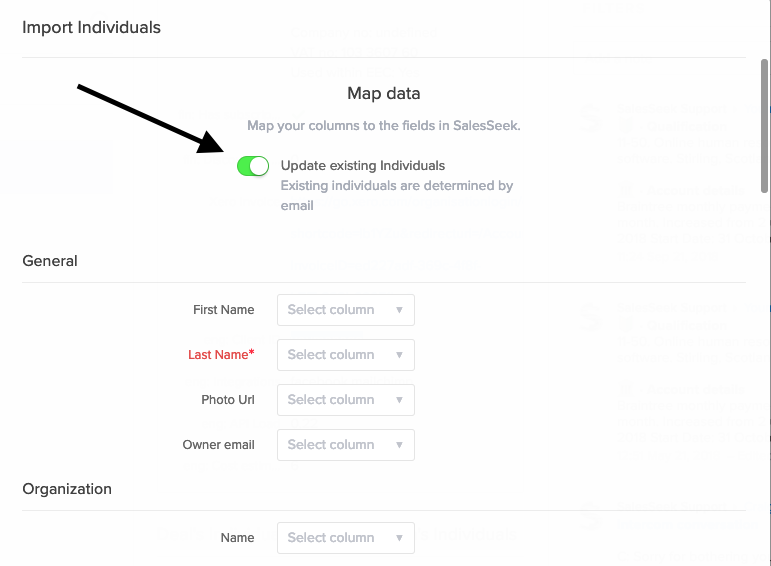 You will then be prompted to map each of the columns with an individual field in SalesSeek. Each column in your spreadsheet that contains data you would like imported needs to be matched to a specific field against the record type you're importing. After mapping each field you can select to show a preview to check the data is displaying as expected before importing. Once you've matched and checked all your data is allocated to the correct fields you'll then need to go to the bottom of the screen and select import. This will briefly queue your import and after a few seconds. Note: Depending on the amount of data being imported, and the current load on our servers, this can take anywhere from a few seconds up to 1 hour. You can navigate away from the page while the import is in progress and check back later. 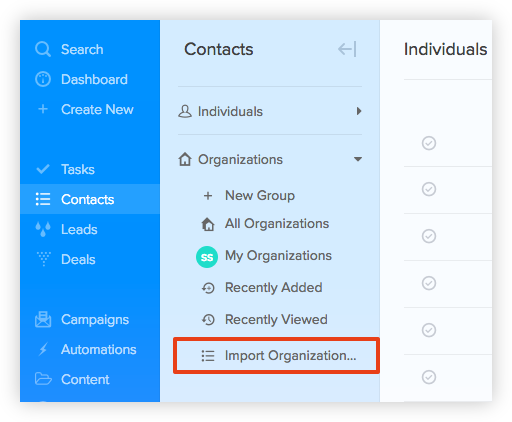 Once imported a group will automatically be displayed in the relevant section. showing all the records from that particular import. 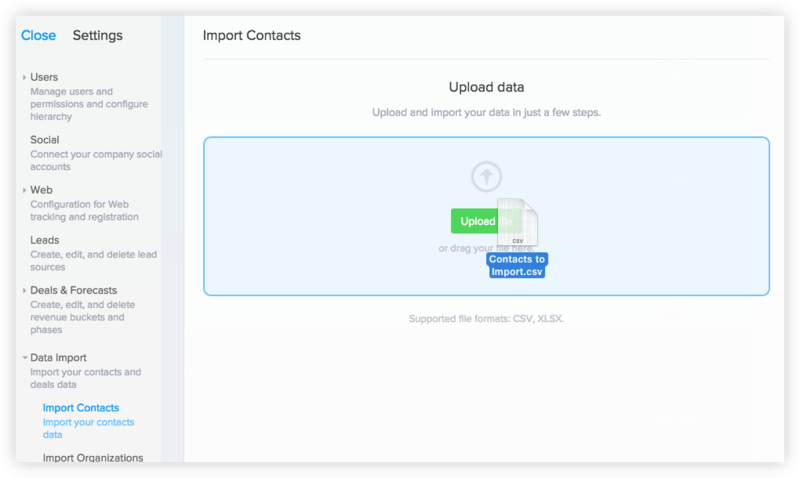 You can import data to update current contacts by checking the 'Updating Existing Individuals' option at the top of the import. This will match Individuals by their first Email. Similar can be done for Organizations, matching by Organization Name. Also for Deals, matching by Deal and Organization name. Rows that failed to import will be provided in a file when the import is complete. The final column of the file will now contain an import failure reason. Tip: You can correct the errors in this file and re-import the same file. This will only import the rows that failed to import previously. If you have any issues importing any data please feel chat to us using the in-app chat.